Find out what's on at the Broadway cinema. 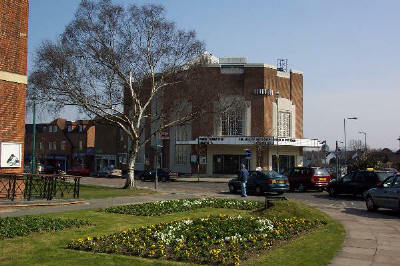 The Broadway cinema is the only remaining cinema in Letchworth Garden City. It was designed by Bennett and Bidwell in 1935, and was refurbished in 1996 in a project led by Letchworth Garden City Heritage Foundation. It now contains a three-screen complex with comfortable seating in a traditional setting. Please support your cinema!